Enriched with 15% Shea Butter and natural honey and apricot oil, this creamy lotion absorbs quickly into the skin to leave skin feeling soft and looking radiant all day. Rich in vitamins A, B, C and E, this silky lotion will nourish, moisturize and protect skin. Water, shea butter, ceteareth-12, octydodecanol, glyceryl stearate, isopropyl myristate, propylene glycol, dimethicone, prunus, apricot kernel oil, coconut oil, phenoxyethanol, linseed extract, honey extract, alcohol, denat, polyacrylamide, chlorphenesin, C13-14, isoparaffin, fragrance, althea officinalis root extract, glycerin, laureth-7, rosemary leaf extract, soybean oil, benzyl alcohol, xantham gum, benzyl benzoate, citronellol, hydroxyisohexyl 3-cyclohexene, coumarin, butylphenyl, alpha-methyl ionone, limonene. Year in and out my favorite. Very smooth, light yet long lasting without any greasy after-feel, used by both myself and my wife. Especially useful to prevent chaffing during winter months .LOccitane still has not figured out a more useful, user-friendly container. Their shower gels and creams, despite the high quality of product, are housed in hard, easily cracked plastic and waste promoting containers, finding it difficult to extract the last 5-10 percent of product from the current packaging.. They really need to work on this. my hubby looooves this lotion!!! As in he uses it every time he gets out of the shower, he will only use this lotion & has a hissy if he runs out with no back up. I love it too, absorbs great and has a light pleasant smell, highly recomend for both men & women. It has a prerry thick texture, yet absorbs fast and leaves no greesy residue. Keeps my dry skin well moisturized throughout the day. It almost has no smell (very gentle and neutral scent), so I can wear it with any fragrance that I like. I also love adding a few drops of L'occitaine Almond Oil on top of this lotion, it makes my body feel even smoother and more moisturized and adds a very pleasant fragrance. Highly recommended! 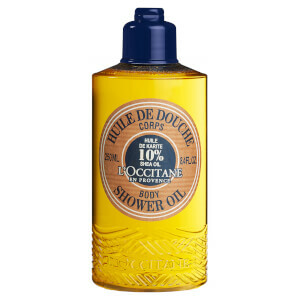 Can't believe there are so few rating for L'occitane best selling product. This product keeps moisture lock 24 hours. If you can't decide which lotion to use, this is the one you need to try. The product speak for itself, I'm totally hooked. I am a buyer of this product for many years now. It works wonders on hands, body, and feet. It smells like paradise too. If you are like me and get razor burn this product helps. If you are thinking Shea butter is too thick for summer that is wrong. The formula they have for this product will not leave you dry nor greasy. Use very little for it is concentrated. Great before bed for feet. Great for legs during winter or after shaving. Great for hands that need little or a lot of help. It is huge bottle and will also last about a year or more. One more little hint...if you have dry lips you could apply it there too and underneath the eyes for extra moisture. 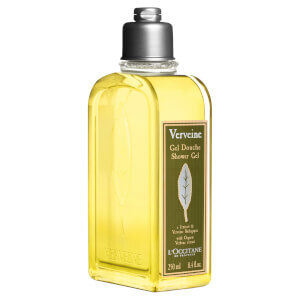 You do not have to buy the entire line of L'occitane shea butter to get what you want - just this bottle will do for many issues. Love it and always will. This is light when well rubbed in. If, like me, you are well intentioned but just run out of time, then you probably only moisturize every second or third day...this is the cream for you!! The moisturizing properties seem to last and last. 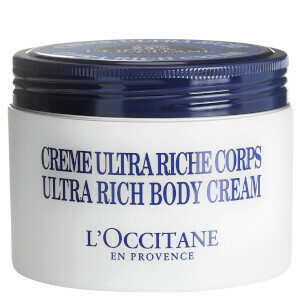 Well worth a try for dry skin, also, prices on Skinstore are very very keen in comparison with Loccitane stores throughout Europe, including France where it is made!! !